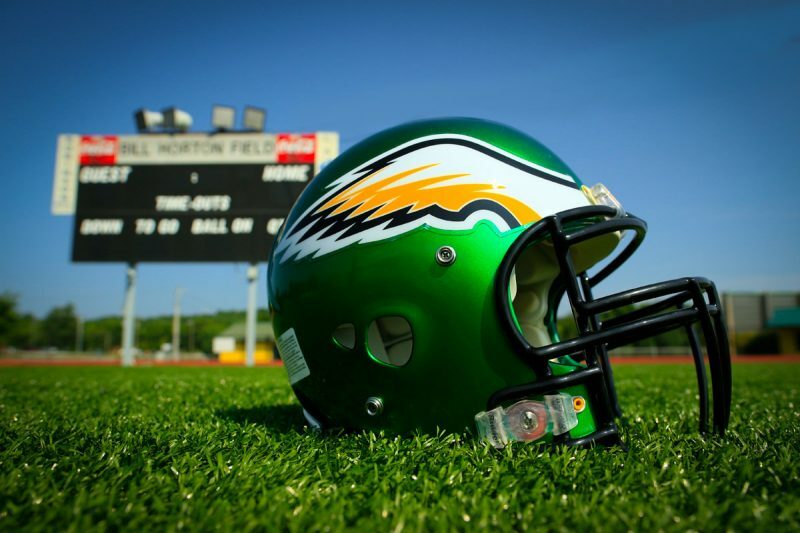 Around 8 PM Saturday, three Rhea County Football players were hurt as their vehicle left the road at the intersection of Ware Farms Road and Toestring Valley Road in Spring City. According to reports from the Tennessee Highway Patrol, the car was going into a curve and ran off the roadway striking a tree and then overturning down an embankment, ultimately landing on it’s top. The young men were transported to Erlanger via Life Force. One who remains in critical condition is currently paralyzed from the knees down. Doctors are reportedly optimistic about reversing the paralysis through a number of surgeries. Another has a broke leg and collarbone but hopes to be released as early as tomorrow. The third young man is reportedly in good condition and already released from the hospital. Touchdown Club President, Villa Edwards, says she’s most impressed by how quickly Coach Mark Pemberton and Defensive Coordinator Taylor Ownbey raced to the hospital after hearing the news. Pemberton admits, “We got down there pretty quick.” And says he was glad to be able to “see the boys for a couple of minutes”. Since, there’s been a tremendous outpouring of support for the boys and their families throughout the community. “The cohesiveness and the outpouring of love and compassion from the Eagle Family and extended Eagle Family have been amazing,” stated Edwards. Teammates have rallied as well. Coach Pemberton says the best thing for the community to do is “be respectful of the families, continue to pray, and listen for updates” as we get them. Others are organizing donations for the families of players. The Rhea County Cheerleaders will be at the Gondolier Restaurant parking lot from 5-7 PM to accept gift cards, snacks, and other items you want to send to the families. Other drop-off locations are Rust-and-Rhinestones in Spring City and Teri Kamer at Spring City Elementary.